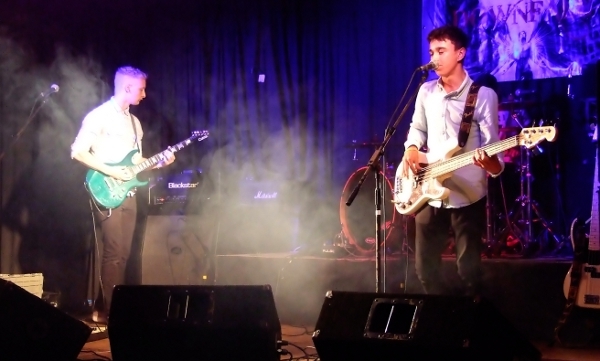 The last heat of the 2014 Okehampton Battle of the Bands crashed its way through the Charter Hall on Wednesday night making it difficult once again for the judges but a great one for the crowd. First Band of the night were The Copperfield Ensemble Project. 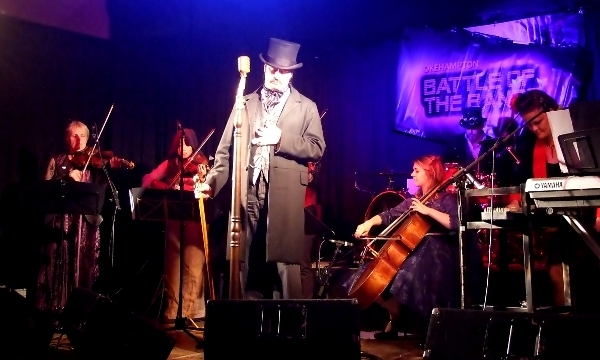 This Okehampton based outfit described themselves as Neo-Victorian Steam Punk and came dressed as the part. 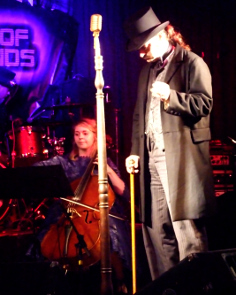 A string quartet, amazing vocals and percussion and a hauntingly mesmerising performance where dark cabaret meets theatre. Totally flip reversing the genres, next up was The Separators. This young Launceston based trio offered up their take on Indie Rock demonstrating some good composition with melodic breakdowns and great drumming. 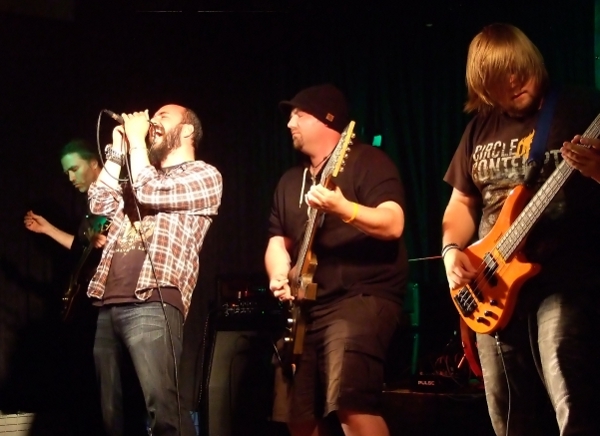 Taking the levels up another notch were Plymouth based hard rock band, Pseudomorph. They thumped through their set mixing influences from Metallica, Alter Bridge and Iron Maiden. Loads of energy and great vocals. 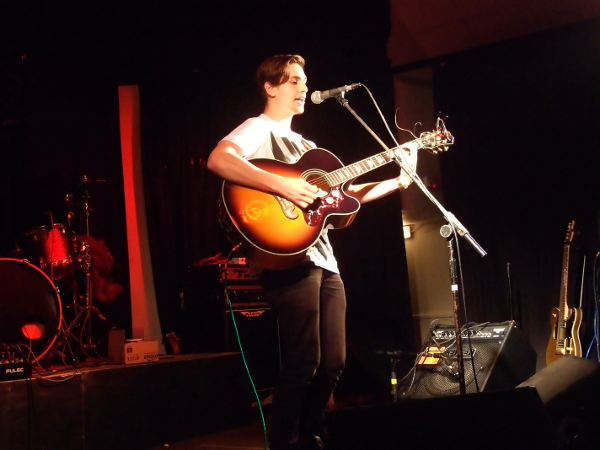 The final act of the Battle of the Bands Heats was Okehampton singer Jordan Hookway. He delivered a brilliant acoustic set to an appreciative audience merging covers with original material in a very confident style. While the judges deliberated over the result of the final heat, 2013 finalists DownFall took to the stage and showed just why they won their place in last years finals, delivering a fast paced in your face rock and roll show, full of energy and flair. Winning Heat Three and joining LGM One and Beacon Fire at the Party in the Park final in Simmons Park on August the 2nd are Okehampton's The Copperfield Ensemble. The judges also announced that the wildcard placement was so close that they had to have two. These were awarded to Plymouth band, Pseudomorph and Okehampton band Faustus MD. The 2014 Battle of the Bands Committee would like to thank Stevens Estate Agents, The Okehampton United Charities, Balsdons Vehicle Services and The Plymouth Inn for being the main sponsors for 2014 and also all the businesses and organisations in Okehampton that have given their support. Also a huge thank you to the public, who have really got behind this years event and have given so generously.